At what size do phones stop being mini? 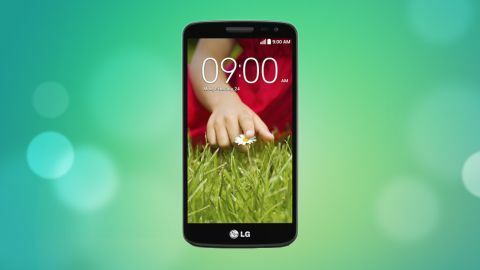 With the G2 Mini, LG provides most of the experience of the G2 but in a smaller and cheaper package. It has equally amazing battery life and most of the software enhancements but sacrifices on screen quality. There has never been a better time to be shopping in the middle or low end of the smartphone market. Whereas a few years ago any device at this level would be very slow, have a tiny screen, a very poor camera and weak battery life, LG is once again proving with the G2 Mini that times have changed. None of this is to say that the G2 Mini is an especially cheap smartphone, although at just over the £200 mark off contract it is hardly expensive. Motorola is doing amazing things with its Moto G and Nokia has the Lumia 630 both of which undercut the G2 Mini by a fair chunk. Given LG's standing as potentially the most innovative and improved manufacturer of 2013, the G2 Mini deserves a fair look despite its relatively high price compared to its peers. LG has carried over the most unusual and unique aspects of the G2 into its lower end offering, most notably the buttons on the back. It is an unusual placement but does make sense given that they sit just where your fingers often are when holding the phone normally. It takes a little time to get used to the buttons being on the back, but after a few days I found it quite natural to use them. I don't particularly find they offer an improved experience over well-placed buttons on the side of a phone, but they are not a hindrance either. The main benefit of this unusual button layout is that the bezels to the sides of the screen can be extremely small. LG showed everyone just how small bezels can be on the G2 and has largely carried off the same trick with the G2 Mini. It is not quite as impressive this time, but it makes the phone noticeably smaller than others with similar screen sizes. Other than the buttons, the design of the G2 Mini is fairly standard with its headphone jack up top and the microUSB charging port at the bottom flanked by two speaker grilles although there is only one speaker actually in the device. While the bezels around the screen are small, the display itself is a very comfortable 4.7 inches in size and is an IPS display meaning that viewing angles are largely superb. LG has skimped on the resolution though. While phones like the Moto G have a 720p display sporting 1280 x 720 pixels, the G2 Mini only has a qHD resolution, which is 960 x 540 pixels. The low resolution is not quite as bad as it may sound on paper, but it is noticeable and fine text can be tough to read. The screen quality is good it just needs more pixels. Unlike some devices at a similar price, LG has kept the G2 Mini's waistline in check and it is just 9.8mm thick. Another attribute of the G2 that LG has carried over to the G2 Mini is the unusually large battery for size of device with a 2440mAh power cell sitting behind that removable back cover. Inside, LG has fitted the G2 Mini with everything you would expect at this price point. It has a quad-core Snapdragon 400 SoC and 1GB of RAM. 8GB of internal storage is supplied and there is a microSD card slot too. There is one major omission from the specs, which I find very irritating. The G2 Mini has no light sensor, there is just a front facing camera above the screen, and therefore no auto-brightness control for the screen. Unlike most handsets at this end of the smartphone market, the G2 Mini has a decent camera on board. It is an 8MP sensor with an LED flash to help in dark conditions that is able to produce some very nice photos. A 1.3MP front facing camera is there for those all-important selfies too. The icing on the cake is that the G2 Mini supports LTE as well delivering the usual high speed internet that any experienced user of 4G would recognise. On paper then the G2 Mini stacks up well, but given that Motorola has got the LTE model of its superb Moto G on sale at £159 off contract, the LG does look a little expensive, despite some extra capabilities on the imaging side.